No one would want to see their child miss out on all the fun because of a sore throat, sneezing or sniffing. If things like these happen at a specific time, your kid may be suffering from seasonal allergies. In case they are facing these throughout the year, they might have chronic allergies. 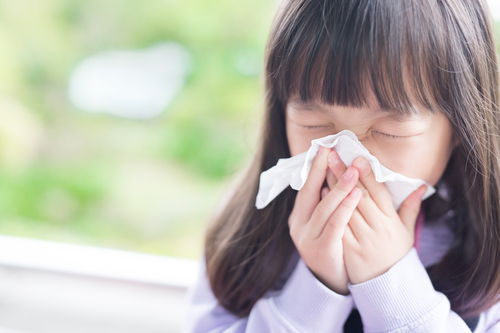 At ENT For Children, we carefully tailor our treatments for the child to overcome their allergies. He/she may also have asthma, if there’s some sort of wheezing or shortness of breath. Asthma and allergies are often interconnected. If your child is prone to allergies, he may have other allergic problems, such as food allergies or dermatitis. Chronic Ear Infections: Ear infections are generally followed by allergies, however there can be other reasons too. Maybe the fluid trapped beneath the ear drum. Sleeping disorder such as sleep apnea can occur due to nasal congestion. The fatigue not only makes your child sleepy during daytime, but also affects performance at school. Pediatric sinusitis is a symptom of a child suffering from allergies. Your ENT physician will assist you in determining if it is allergy related. The actual cause of allergies can only be pinpointed by an ENT physician. Here are a few things you can do to protect your child. Make Your Home Allergy-Proof: It may not completely resolve the issue, but the best way to prevent allergies is to avoid the things that cause it. Mold, pollen and dust mites are some common allergens which can be eliminated. Use dust mite-proof covers for your mattresses and pillow along with a HEPA-grade filter. Medication: Over the counter medications can be helpful in some cases, but it’s better to consult with a pediatric ENT. Keep a comprehensive track of the medications provided to the child, so that the doctor has detailed information about the medical history of the child. Immunotherapy: This is not just for the adults, even children can have it. Sublingual immunotherapy is a kind of treatment that does not require “allergy shots”. In this treatment, a liquid is placed beneath the tongue. During the process, the body is exposed to a diluted version of allergen. It allows the body to build up natural defense. Surgery: Treatments may not work for severe and persistent conditions. In that case, surgery is the only option. The doctor may use an endoscope for the process and he may require to open up the sinus pathways for draining. There’s also a chance of tonsillectomy, if the tonsils are inflamed or enlarged. Your ENT physician may also recommend removing additional adenoid tissues.